Bringing home your newborn baby is a once in a lifetime experience, and those baby days are gone in a flash. As a newborn photographer, I help families document and preserve cherished memories of this most special time in their lives. Beautiful portraits of your baby and family will bring to life the love that you share and celebrate the legacy that you are creating. 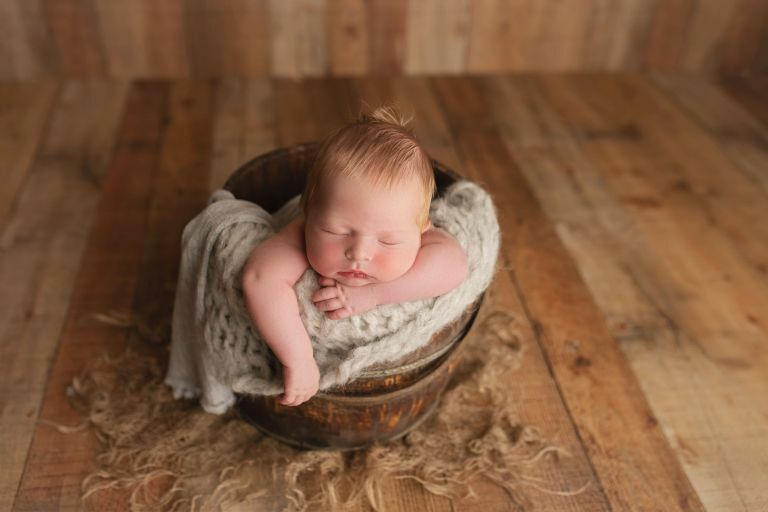 My style of newborn photography is natural and pure, using simple props and organic textures that allow the beauty of your baby and family to be the focus of my images. I love to create artistic images that reflect deep emotional family bonds, as well as every adorable newborn detail. There is simply no substitute for professional studio portraiture of this extraordinary time in your life. Newborn photography is a delicate art. It is important to choose a newborn photographer not only with skill and experience, but with a caring and loving touch. My top priority is always the safe handling and posing of your newborn. 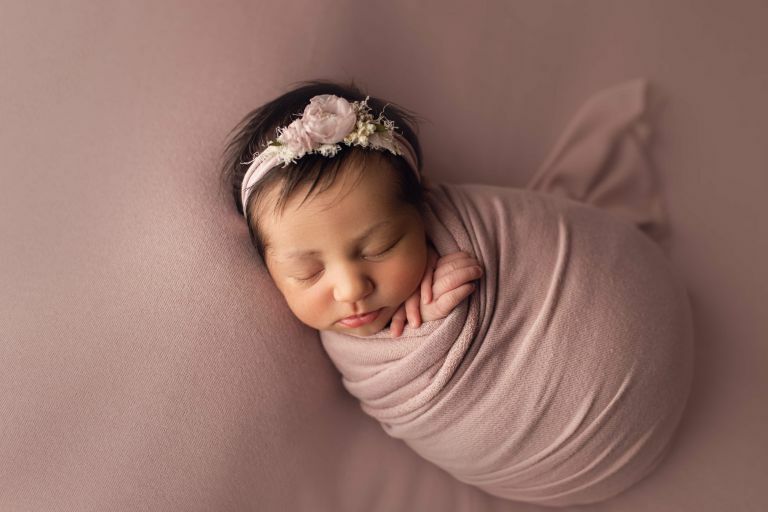 Professional newborn photographers spend years learning how to properly pose babies and photograph them in a way that is safe and beautiful. I have dedicated years to perfecting this craft, and I take the utmost care and attention to detail with each and every session. So that I can capture your newest family member in a way that they will never be again: brand new. My boutique portrait studio is located in Randolph, NJ, and built specifically for working with newborns and their families. I carry all the professional equipment and unique photography props to create classic, beautiful images of your baby and family. Our experience together begins with a pre-session consultation. 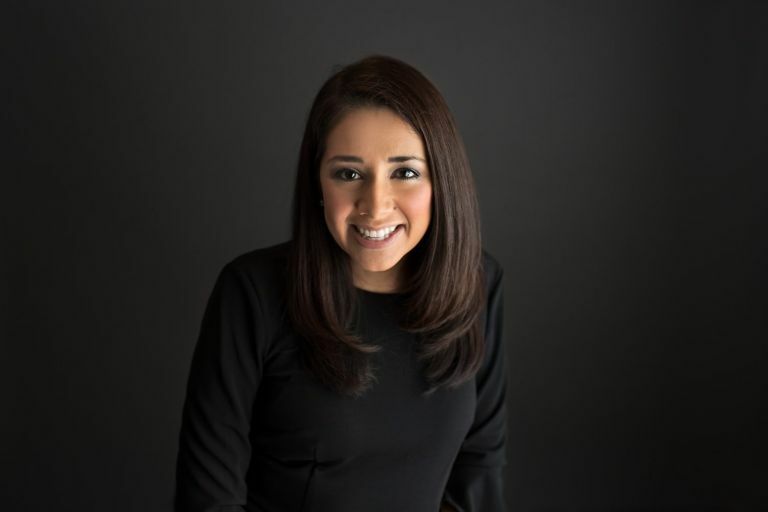 I take the time to get to know you, your family, and what you envision for your baby's newborn portraits. All of this helps to ensure that we will have an amazing experience together. I book limited due dates per month, so contact me right away to learn more and get the process started. Hello there, I'm Yvonne. As a mother and a portrait artist, I understand the urgency to preserve family memories. That's why I document your baby and family in the most organic and sincere way possible. My goal is to provide you with beautiful photographs of this special time in your life. When you see your images, I want you to instantly remember the fleeting moments and relive the indescribable joy that you feel right now. I believe in keeping things classic, and in printing your finished images. My clients enjoy a one-of-a-kind portrait experience complete with gorgeous custom designed albums and home galleries. These images are meant to be heirlooms. Investments in future memories that will warm hearts for generations. I take pride in the details of you and your family, and your experience is very important to me. Contact me to learn how we can get started planning your personal portrait session today. I look forward to it. What age do you photograph newborns? Newborns are best photographed within the first two weeks of birth, with 7-10 days being the optimal window. 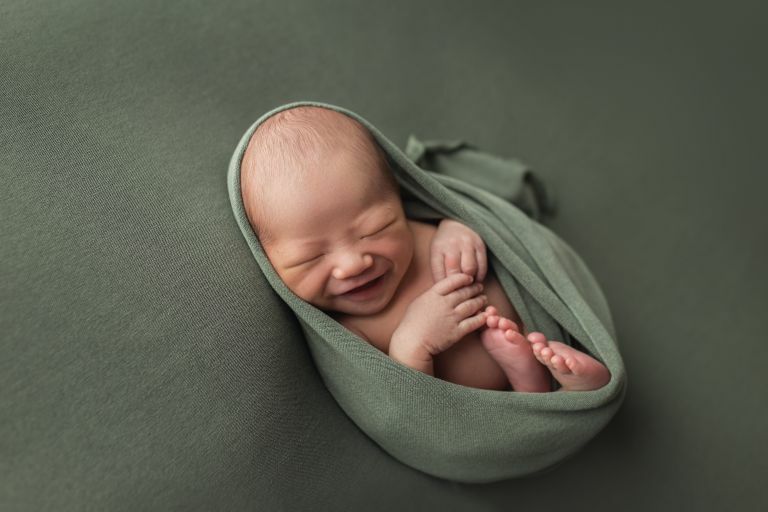 At this age, babies are still fresh and new, allowing me to capture all of those beautiful, tiny newborn details before they quickly fade away. During this timeframe, babies are also very sleepy and easily posed, which is essential for safely positioning your baby in those artistic, adorable poses that parents love. If your baby is already here and more than a few weeks of age, please contact me to inquire about last minute booking availability and my process for photographing older newborns or baby milestones. When Should I Book My Baby's Newborn Session? Newborn photography sessions are best planned well in advance, with most expecting moms booking in their second or early third trimester. I only take a limited number of due dates per month in order to accommodate my availability and full service experience to each and every family, so please contact me as early into your pregnancy as possible. Upon booking, I hold your due date in my calendar, and will stay in contact with you until your baby arrives. Once baby is born, we will schedule the actual date for your session within the recommended window. Again, if your baby is already here, please feel free to reach out to inquire about last minute booking availability. The best way to learn more about my studio is to come see it for yourself! I offer a free studio tour and pre-session consultation. This is an excellent opportunity for us to meet in person and discuss the details of your session before baby arrives, so you know exactly what to expect. My studio is a clean, calm and welcoming environment, and has everything to make families feel at ease during their session. Amenities include a restroom, changing table, private nursing room for mothers, comfortable recliner sofas with outlets and chargers for your devices, free wifi, and a beverage station stocked with refreshments. I source only the best and most luxurious props for my newborn sessions to give your images a unique look that you won't find anywhere else. The softest quality backdrops, blankets, wraps and bonnets in premium materials such as angora, alpaca, cashmere, and merino wool. Matching headbands for baby girls feature vintage laces and silks, delicate bows and floral elements. Floor props such as bowls, buckets, crates and little beds are either vintage finds or handmade by local artisans. I take great pride in ensuring that every prop matches my earthy, organic style in an array of beautiful and neutral colors that will remain timeless. Can we include photos with parents or Older Siblings in our Newborn Session? Absolutely! Your baby's newborn session is a wonderful opportunity to create a beautiful new family portrait that includes parents and older siblings. I have posing ideas for every member of your family and will take care of placing everyone just so. Yes, even those tricky toddlers! Every session begins with a conversation. Just fill out the form below to get started. You can expect a prompt reply from me with more information about your inquiry and an invitation to discuss further. I can't wait.